It’s September and the summer is beginning to wind down. The days get shorter. The evenings get cooler. Beach chairs are removed from the car trunk and stored in the garage. Labor Day is over and we start looking at the mountains for the changing leaves and brilliant colors. The final propane bottle is purchased for the grill. Baseball pennant drives begin in earnest. Days of relative leisure begin to morph into frenetic afternoons at the mall for “back to school shopping” for new clothes and supplies. But September is the perfect time to think about a new home for the upcoming holidays! A Saturday in September is the perfect time for an Open House Tour. We have three luxury Open Houses Open on September 8, from 12-3 PM. Take a preview look at these wonderful luxury homes at we’ll see you there on Saturday! Gorgeous custom traditional 2-story located in one of Cottonwood Height’s most luxurious gated communities. Impressive exposed wood beams throughout the main level, gourmet kitchen with premier appliances, vaulted ceilings, high end windows and beautiful teak and travertine flooring, Main floor luxurious master retreat with detailed moldings and a striking tray ceiling. Lower level over-sized entertaining area with a custom kitchenette, theater room and fitness area. The backyard opens up to the community green space providing unobstructed mountain views. Over-sized 4 car heated garage with a heated driveway to top it off! This home has it all! This immaculate 1 Owner Holladay Home could be defined as the ultimate in elegance! Absolutely stunning custom all-brick with steel framing designed and built in a prestigious neighborhood! The open and light floor plan gives way to the high ceilings, custom floating staircase, hardwood & heated marble floors, massive fireplace and large beautiful windows everywhere showcasing the surrounding lush garden views. Everything is of the highest quality including the custom cherry wood kitchen cabinets, Caesar Stone Counter-tops, bar tile roof, custom closets along with radiant heat throughout the home. Every room including the main floor master suite, walk-in closet and spa-like bathroom is large, light and spacious. The lower level has a walk-out and a great room that is perfect for all occasions, from entertaining family, to relaxing on the very private patio accented by a lush, mature back yard, canyon walkway & landing, as well as a meandering stream. To top things off you’ll find tons of built-in storage, (2) 2-Car Garages, a fitness room and a home that has been meticulously cared for and loved! You’ll Love It Too! Marvelous Mill Hollow 2-Story with tons of windows allowing the natural light to fill the main level vaulted living and great rooms. Wonderful open floor plan with a spacious master suite that opens to an upper deck to enjoy the incredible sunsets. Large walk-out lower level family room with beautiful french doors is a perfect place for your game/movie room. Landscaping takes little care with artificial turf in the front yard, a stone path and mature shade trees. Entertaining deck off the family room with a retractable awning for shade while dining al fresco. This home has been very well-cared for and used as a second home. Great home at a great price! 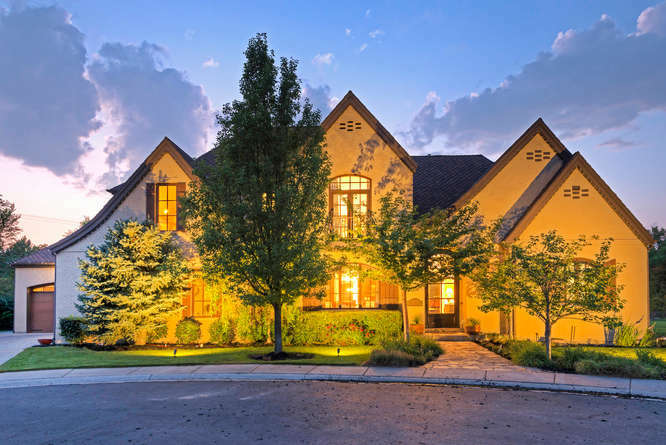 Linda Secrist & Associates is the top selling team in luxury homes in the SLC Market. They have received countless awards over the past 20 years, including “Sales Team of The Year” for over 10 years including 2017! Linda Secrist is #54 in the top 100 Agents in the World in luxury residential real estate. 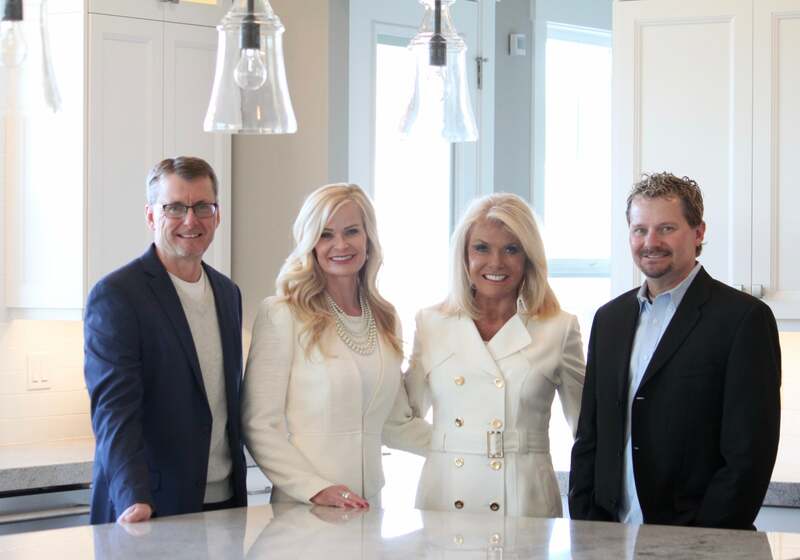 If you’re searching for homes in Sandy, Salt Lake, Cottonwood Heights, Millcreek, Draper, South Jordan, Bountiful, Centerville, Farmington or anywhere in northern Utah, Linda Secrist & Associates are the real estate agents to call. If you’re buying or selling a home, don’t hesitate to text or call us at 801-455-9999!